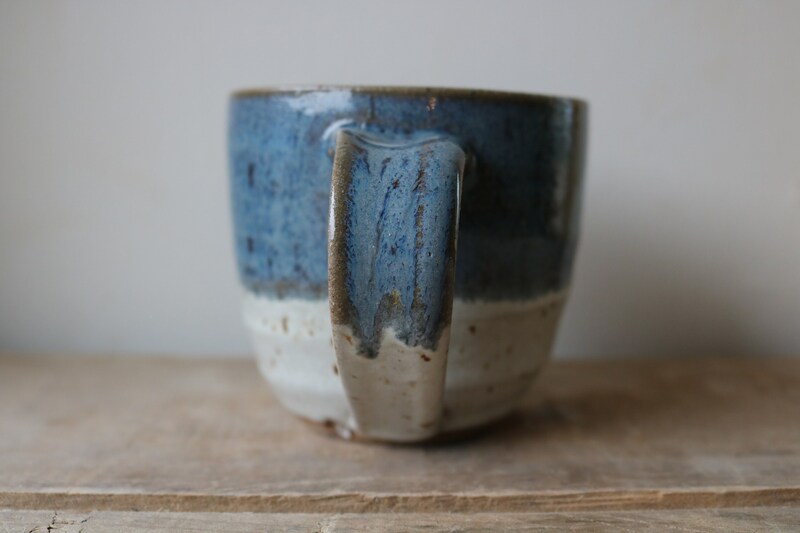 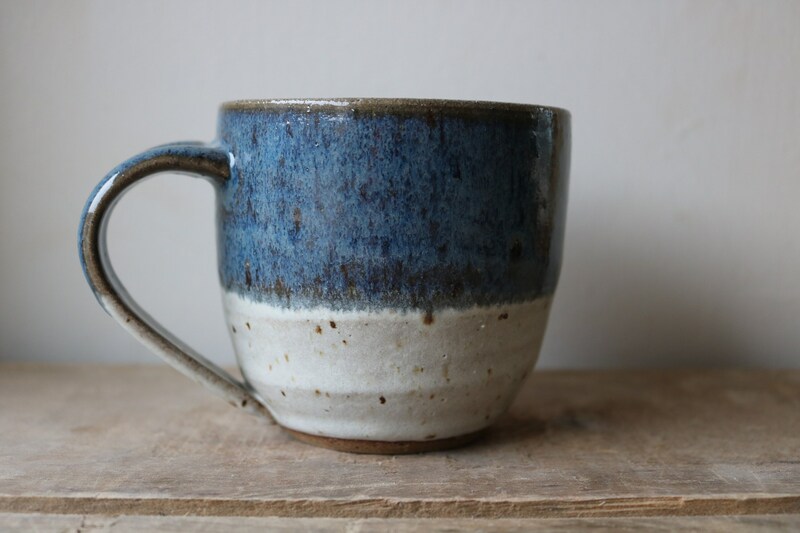 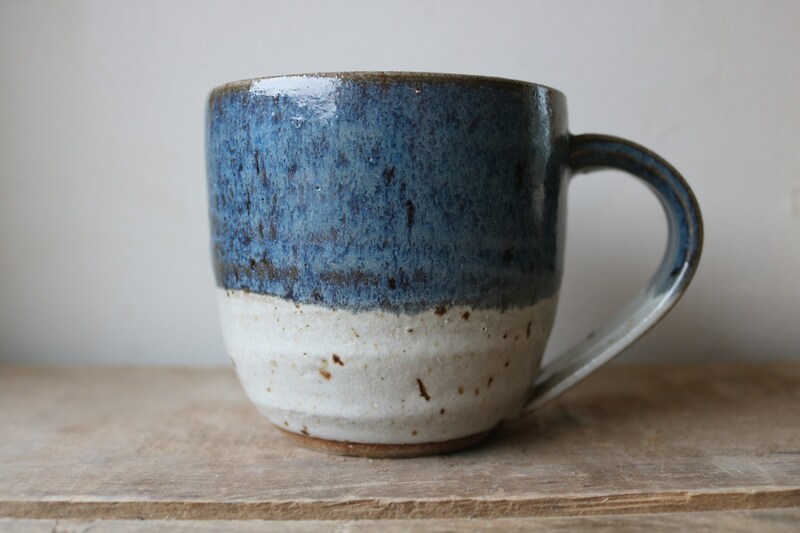 This earthenware mug is glazed in a simple speckled white and smoke blue. 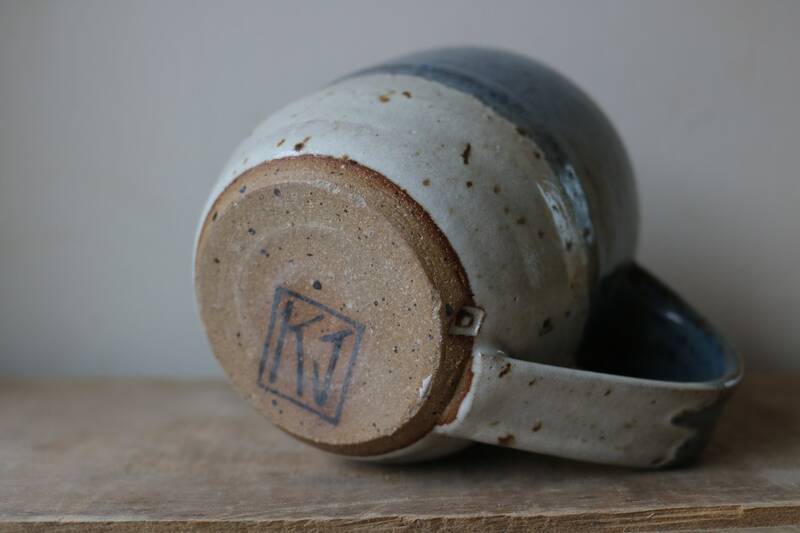 Mug holds approximately 10-12 oz. 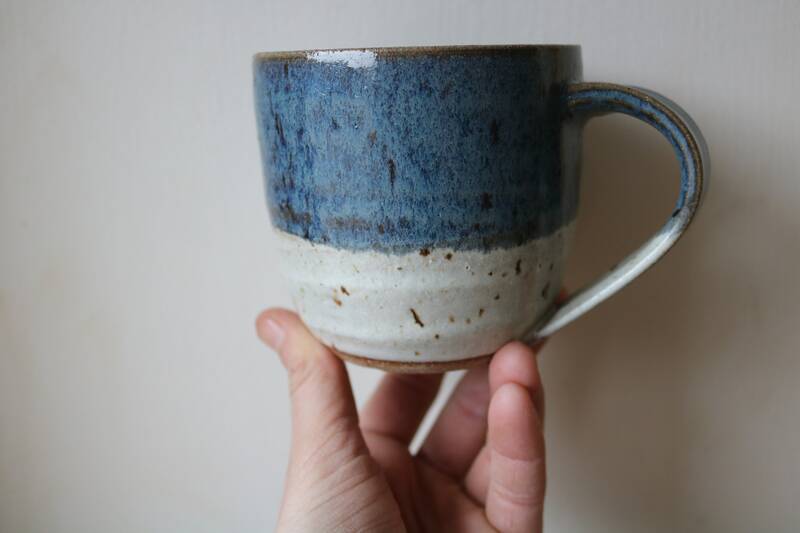 All pieces are food, oven, microwave and dishwasher safe. 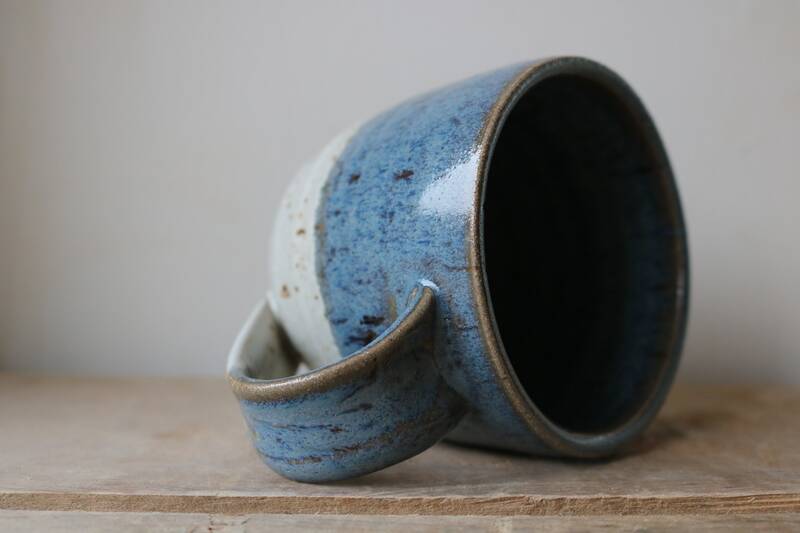 Though I always recommend hand-washing.